Insuring that all connections you make through being seen and heard are meaningful. 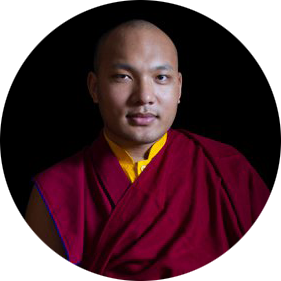 As predicted, the tenth Karmapa was born in the Golok region, in the far northeast of Tibet. He was recognized and enthroned by Shamar Chokyi Wangchuk, from whom he received the full Kagyu transmission. By the age of six, he was a better painter than his teachers, as well as a gifted sculptor. Chöying Dorje anticipated the wars and political strife that were soon to come, realizing that certain political interests in Tibet would enlist the Mongol armies in the Gelugpa cause. Knowing he would be forced out of central Tibet by the political strife, the tenth Karmapa gave away most of his wealth to the poor and appointed Goshir Gyaltsab his regent. Gushri Khan’s Mongol armies attacked Shigatse and then continued the attack through much of Tibet, causing considerable destruction throughout the land, and eventually overrunning the Karmapa’s camp. Chöying Dorje was forced to leave the area. With an attendant, he traveled throughout Tibet. They later traveled to what is today northern Yunnan. As always, wherever the Karmapa went, he fostered the dharma and he was able to establish some monasteries along his route. Twenty some years passed before he could return to his homeland. He recognized the next incarnations of Shamar Yeshe Nyingpo, Goshir Gyaltsab, and Pawo Rinpoche, and gave the transmission of the Kagyu teachings. 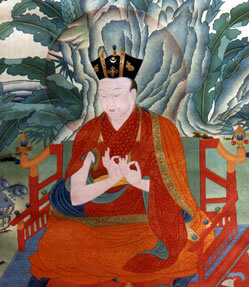 Shamarpa became his main spiritual heir. At the age of 71, Chöying Dorjé passed into parinirvana. By this time the political landscape in Tibet had changed for good. Ngawang Lobsang Gyatso, the fifth Dalai Lama, had become the official ruler of Tibet, and this role of the Dalai Lamas would continue to be filled by his successive incarnations.